Tomorrow, as Halley's Comet prepares to rise over the southeastern horizon, Mark Twain will have his 150th birthday. I say "will have," not "would have had," because the author of Tom Sawyer, Huckleberry Finn, The Prince and the Pauper and A Connecticut Yankee is still very much with us; for that matter, some folks still think he's controversial. What most don't know, though, is that New Yorkers have as much right as any other Americans to toast a favorite son on Nov. 30. You thought Mark Twain belonged only to Hannibal, Missouri, San Francisco and the western frontier? True, but he belongs to New York too. In fact Twain -- or rather, his creator, the writer Samuel Clemens -- first visited here when he was just 17, and his later New York sojourns offer a series of snapshots of his progress, and the city's, through nearly 60 years. His first East Coast triumph was an address at Cooper Union; he met the girl he would marry at the elegant St. Nicholas Hotel on Broadway, and he was a highly successful New York publisher. From late middle age on, as the "Belle of New York," he was feted with banquets at the finest clubs and restaurants and quoted almost daily in the New York press. In his last, troubled decade he had three New York City homes -- in Greenwich Village, Riverdale, and then Manhattan again -- and his funeral in 1910, was at a church on Fifth Avenue. When Sam Clemens first came here in 1853, he and New York were still pretty young and raw. He found a job setting type in the city's biggest printing house. "I got work at villainous wages in the establishment of John A. Gray & Green in Cliff Street," he recalled, "and I found board in a sufficiently villainous mechanics' boarding-house in Duane Street. The firm paid my wages in wildcat money at its face value, and my week's wages merely sufficed to pay board and lodging." Evenings were spent at the free Printers Library on Chambers Street, though he did get up to Worth Street one night to see Edwin Forrest's melodramatics in "The Gladiator" at the Broadway Theatre. He admired the Croton Aqueduct, then considered the world's engineering wonder. 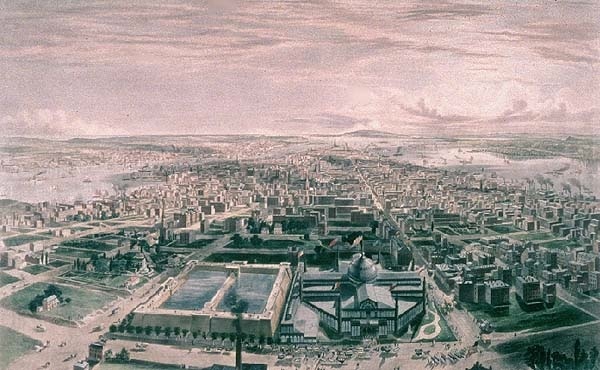 And he went to America's first World's Fair, which was housed in an enormous "Crystal Palace" almost at the edge of town -- at 42nd Street and Sixth Avenue. He was enchanted by "the lofty dome, glittering jewelry, gaudy tapestry, etc., with the busy crowd passing to and fro -- 'tis a perfect fairy palace -- beautiful beyond description." As for New York itself, he admitted, "I have taken a liking to the abominable place, and every time I get ready to leave I put it off a day or so from some unaccountable cause." But leave he did, to pursue a succession of careers as Mississippi River steamboat pilot, Confederate soldier (for two weeks), gold prospector, laborer in a silver mine, newspaper reporter and editor, South Seas traveler and platform lecturer. The next time he saw New York, in January, 1867, Sam Clemens had become Mark Twain, the frontier humorist and roving correspondent for the San Francisco Alta California. Like visitors before and since, he complained that "the town is all changed since I was here." He rode the overcrowded streetcars, noted that men had adopted the rule of hanging on to a seat when they got it, "though twenty beautiful women came in and stood in their midst," and concluded that "they do not treat women with as much deference in New York as we of the provinces think they ought." He was appalled by the high prices ("A single man can get along after a fashion for forty to fifty dollars a week. God help the married ones") and by the "ceaseless buzz, and hurry, and bustle." He visited P.T. Barnum's Museum on Broadway and Henry Ward Beecher's Plymouth Church in Brooklyn; he mingled with the sporting men, criminals, politicians and prostitutes in Harry Hill's notorious "concert saloon" on East Houston Street; he interfered in a street brawl and spent a night in jail for his pains. 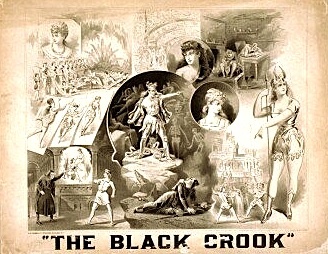 Like everyone else, he also visited Niblo's Garden at Broadway and Prince Street, to be shocked and titillated by Broadway's first long-running, very risque musical, The Black Crook. "The scenery and legs are everything," he reported. "Girls -- nothing but a wilderness of girls -- stacked up, pile on pile, away aloft to the dome of the theatre . . . dressed with a meagerness that would make a parasol blush." Prophetically, he observed that "Edwin Booth and the legitimate drama still draw immense houses, but the signs of the times convince me that he will have to make a little change by-and-by and peel some of the women." Twain would be making some changes of his own. His western years behind him, the Bohemian frontiersman would soon be transmuted into a very different sort of creature, a successful eastern literary celebrity. Three events of 1867, all in New York, marked the watershed. First, on May 6, he delivered a "serio-humorous lecture" on his travels in the Hawaiian Islands, at Cooper Union. He had given similar talks on the West Coast, but as he said at the time, "Make your mark in New York, and you are a made man." Frank Fuller, his manager, persuaded him to procure a "claw-hammer" dress jacket and a suitable collar and tie for the occasion, and spent the afternoon before the performance with Clemens as he rehearsed anxiously and railed at "the damned tailor who had sewed up the buttonholes so he couldn't button his coat." At the last moment the man scheduled to perform the introduction failed to appear, so Twain had to introduce himself. According to Fuller , "Mark walked on the stage and peered down as if hunting for a missing penny, and then remarked: 'I was looking for General Nye, who had promised to introduce me, but I see nothing of him, and as there are no other Generals in town just now we will have to worry along without him.'" Then he launched into an olio of travelogue, anecdotes, outrageous tall tales, sardonic comments on his fellow man, and florid "word paintings" of the gorgeous Hawaiian scenery, rambling from topic to topic in his soft, artless drawl, pausing now and then as if he couldn't remember what to say next, and looking up with an air of surprised innocence when the audience laughed at one of his sallies. "And so he went on," Fuller recalled, "and the shouts of laughter and the bursts of applause were far beyond anything I have ever witnessed." 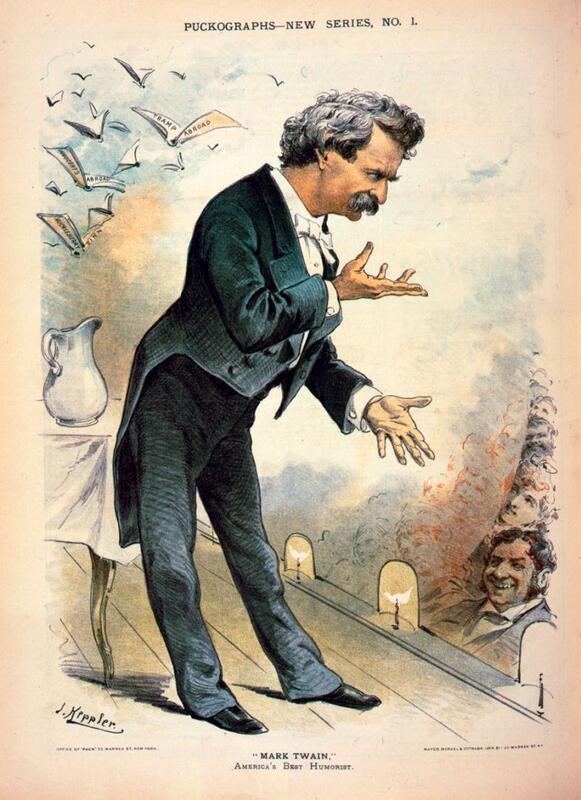 For Twain, a natural performer, it was the start of a new career as an entertainer. As the champion talker and storyteller of his age (as well as the most highly paid) he would eventually give thousands of such performances, delighting audiences across the country and, eventually, the world. A month after the Cooper Union talk, Twain steamed away from the Wall Street pier with 75 other "pilgrims" on the sidewheeler Quaker City, bound for Europe and the Holy Land. It was the first luxury package cruise abroad by American tourists, and thanks to Twain it would be among the most memorable. He recounted his and his shipmates' adventures and misadventures in hilarious, irreverent letters to the Alta and the New York Tribune and Herald and as soon as he returned in November he began to work them up into his first book. The Innocents Abroad was an instant bestseller. Also in 1867, two days after Christmas, Twain met his future wife, Olivia Langdon, the only daughter of a wealthy Elmira coal dealer, down with her family to spend the holidays among the beveled mirrors and gold brocade curtains of the St. Nicholas Hotel (a portion of which still stands on Broadway just below Spring Street). Twain liked to say later that he was already in love with Livy before they met. 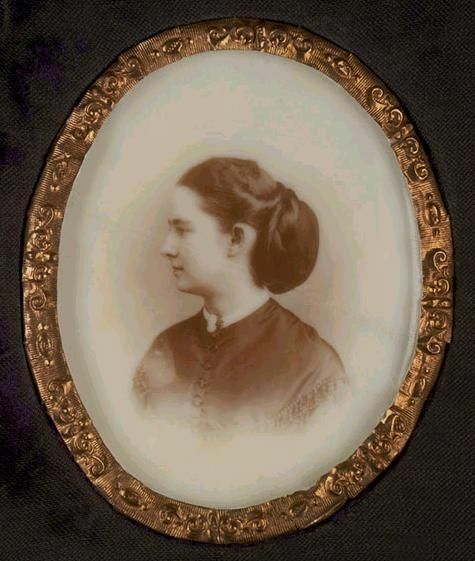 Her brother Charley had been on the Holy Land trip and had brought along a miniature portrait of his sister; Twain saw it and fell in love on the spot. In his Autobiography, Twain wrote, "I called at the St. Nicholas Hotel to see my Quaker City shipmate, Charley Langdon, and was introduced to a sweet and timid and lovely young girl, his sister." That night Charles Dickens was to give a reading from his new novel, David Copperfield, at Steinway Hall on 14th Street. "The family went to the Dickens reading and I accompanied them. It was 40 years ago; from that day to this the sister has never been out of my mind nor heart." In the 1870s and '80s, his happiest and most productive decades, Twain lived in Hartford with Livy and their three daughters. But he was a familiar figure in New York, too, as a popular author, playwright (stage versions of The Gilded Age, The Prince and the Pauper and others), businessman and (though he wouldn't have admitted it) speculator. He was forever sinking money into schemes and inventions that promised sudden wealth. Particularly seductive (and eventually disastrous) was the Paige Automatic Typesetting Machine, which Twain, a former typesetter himself, swore was "by long odds the most amazing and extraordinary invention ever born of the brain of man." More profitable was the publishing house of Charles L. Webster & Co. on Union Square, where Twain was the senior partner. This business flourished, for a while at least, publishing Twain's own books and other bestsellers, including Ulysses Grant's Memoirs, written at Twain's urging and completed only days before the general's death in 1885. A $200,000 royalty check to Mrs. Grant hung for many years on the wall of the Players Club on Gramercy Park (of which Twain was a founding member); Twain liked to claim it was the largest single royalty check ever drawn. The money was pouring in, but soon it was pouring out even faster, including more than $300,000 to "perfect" and market Paige's overcomplicated and eventually unworkable machine. Twain once described himself as "by nature and disposition unfit" for business; in the end his unfitness amounted almost to a kind of genius. Between the eventual failure of Webster & Co. and the fortune he had poured into the financial abyss of the typesetter, by 1894 the country's highest-paid author was bankrupt and nearly $100,000 in debt. Livy -- and Twain himself -- felt he was honor bound to repay every penny owed, and as a result, the family spent most of the '90s abroad seeking lower living costs, as Twain lectured and wrote his way out of debt. But he returned to New York some eight times during the decade, and on one trip, at the Murray Hill Hotel on East 40th Street in September, 1893, he had the good luck to meet Henry H. Rogers, who would become the indispensable friend and guide of Twain's last years. It was an unlikely friendship, some thought. 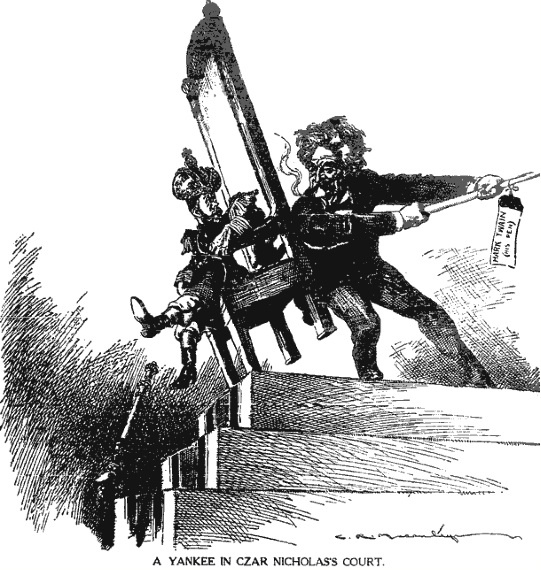 Twain was the social critic who had mocked the crude materialism and venality of the Gilded Age; Rogers was the architect of the Standard Oil trust, a fairly rapacious character even by robber baron standards. But he also admired Twain, and when he offered to take on the burden of managing the Clemens family finances, it was the beginning of a beautiful friendship. Of Rogers, he said, "He's a pirate all right, but he owns up to it and enjoys being a pirate. That's the reason I like him." Following a financial plan devised for him by Rogers, Twain was able to rebuild his fortune with a round-the-world lecture tour that began in Cleveland and ended in Capetown, South Africa. 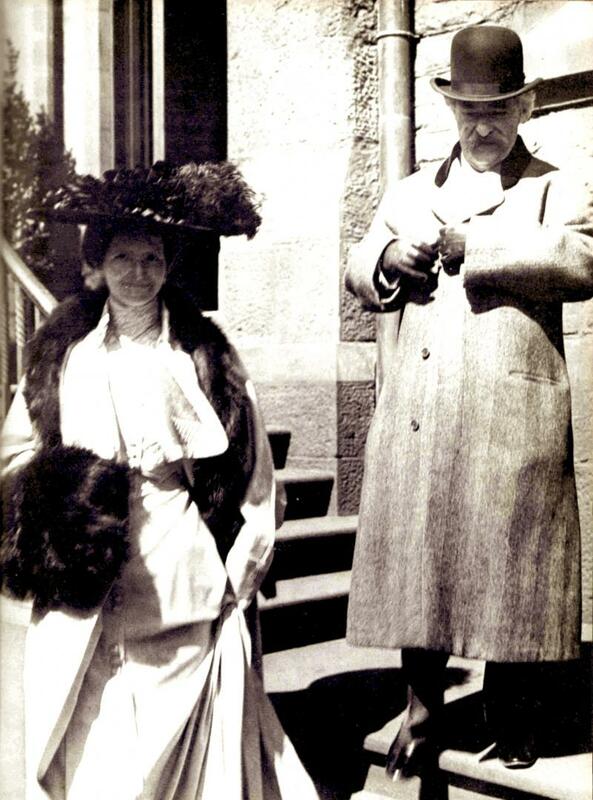 Rogers and his family became Twain's intimate friends, and after his return he was a frequent visitor at their home on East 57th Street and at the Standard Oil headquarters at 26 Broadway. When Twain finally returned to New York in 1900, his debts fully repaid and his income back up in the $90,000 range, the event was regarded as a national triumph. He installed his family in a rented house, still standing, at 14 W. 10th St. in Greenwich Village, and settled down to bask in the admiration of his countrymen. The invitations, correspondence, requests for interviews came in a deluge, which he welcomed hungrily. "One day," he said, "I wrote 32 brief letters with my own hand, and then found, to my dismay, that Mrs. Clemens had written the same number." Two years later, for the sake of Livy's failing health, they moved to Wave Hill, a magnificent fieldstone mansion (also still standing) overlooking the Hudson in Riverdale -- without, however, perceptibly diminishing the hectic pace of Twain's life. At age 60 -- and at 65, 70 and beyond -- Twain lived in a manner calculated to wear out any companion. "I have to live up to the name which Jamie Dodge has given me -- the 'Belle of New York,' " he once said, "and it just keeps me rushing." Typical was a night in January, 1894, which he described in a letter to Livy, then in Paris. For openers, Twain, Rogers and a couple of artist friends went to Madison Square Garden to watch Gentleman Jim Corbett knock out an Australian challenger in three rounds. Stanford White came along presently and invited Twain to meet the world champion in his dressing room; then to a 10:30 party at someone's town house on Gramercy Park. Conversation and "that wonderful Hungarian band" until midnight; then a few stories by Twain for the assembled company, a half-dozen songs by Ancona, of the Metropolitan Opera, with Walter Damrosch at the piano, and then more dancing. "By half past 4 I had danced all those people down and yet was not tired, merely breathless." On equality: "I have no color prejudices nor caste prejudices nor creed prejudices. All I need to know is that a man is a human being, and that is enough for me; he can't be any worse." On corruption: "The political and commercial morals of the United States are not merely food for laughter, they are an entire banquet." On smoking: "It has always been my rule never to smoke when asleep, and never to refrain when awake." On moral instruction: "It is noble to teach oneself; it is still nobler to teach others -- and less trouble." hard to comprehend today, when celebrities are made and forgotten almost hourly. He was perpetually on call as a speaker -- at Delmonico's and Carnegie Hall, at Barnard College and Yale (which awarded him an honorary Doctorate of Letters -- as did Oxford, Columbia and other institutions); at the Lotos, Players, Century, Metropolitan and other clubs. As a banqueteer and toastmaster he had no equal. His books were in everyone's home and his aphorisms on their lips; his 70th birth day party in 1905, organized by his publisher at Delmonico's on Fifth Avenue, was an occasion for loving tribute from nearly 200 of the country's leading literary figures. By now he was a distinctly oracular figure, with his bushy, unkempt mustache, piercing eyes and a deceptively angelic halo of white hair. And when, from about 1906 on, he took to strolling along Fifth Avenue in what the Herald called "a gorgeous white flannel suit," it seemed that he was determined to be, as he had once put it, "the most conspicuous person on the planet." But the private Mark Twain was a darker soul -- complex, bitter, sometimes almost demonic. Had Twain been a luckier man, his sunset years would have been mellow, warmed by loving daughters and admiring grandchildren. Instead, his life from age 60 on was blasted by calamity and sorrow. Was he doomed, as he sometimes believed, to destroy those he loved? His oldest, favorite daughter, Susy, died while he and Livy were abroad; Livy died in 1904 after two years of near-total invalidism; and his two surviving daughters were constantly in and out of what were politely termed "sanitariums." Yet in his last years, aging, widowed, bitter but never bowed, Twain wrote -- or more often, dictated -- as though possessed, with prodigal energy and, as he put it, "with a pen warmed up in Hell." What had been irreverence matured into outrage at the injustices of mankind and the Almighty. He became a reformer, his wit a slashing sword, his targets ranging from Tammany Hall to the lynch mobs of the "reconstructed" South and the "missionaries" who carried Christianity into Africa and Asia at the end of a smoking rifle. In The Mysterious Stranger, Letters From the Earth and What Is Man? -- dark, bitter fantasies meant for posthumous publication -- he poured out his contempt for "the damned human race." Yet in public he still laughed and, as he felt he was destined to do, he "excited God's creatures to laughter" with his pen and his ceaseless flow of talk. And because Mark Twain was so richly human himself, he always seemed able, somehow, to reach the heart of the world. The year of Livy's death Twain moved yet again, this time to a Gothic-arched house at 21 Fifth Ave. designed by James Renwick, architect of St. Patrick's Cathedral. He continued to work at his Autobiography ("[it] will get my heirs and assigns burnt alive if they venture to print it this side of 2006 A.D. -- which I judge they won't"), smoked scores of his villainous-looking cigars, and spent 12 hours and more a day at his billiard table. But two years later he was complaining, "Nobody thrives in this house. Nobody profits by our sojourn in it except the doctors. They seem to be here all the time. We must move out and find a house with some sunshine in it," and he began making plans to build his last home, "Stormfield," in Redding, Connecticut. There, too, fate had a nasty trick in store. In December 1909 Jean, his youngest daughter, returned home after more than two years in an institution. After a festive Christmas Eve she bade him goodnight, kissing him on the hand, not the lips, because she had a slight cold. In the morning she was found in her bath, drowned after an epileptic seizure. 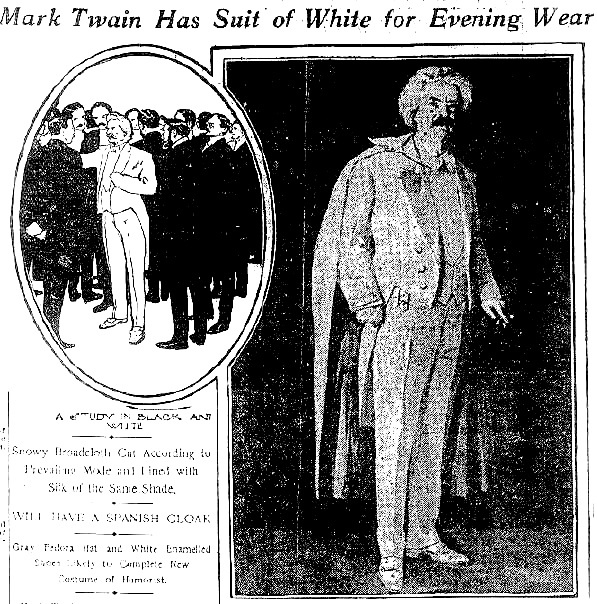 And four months later, on April 10, 1910, dressed in a suit of those "wondrous white flannels," Mark Twain himself lay in the Brick Presbyterian Church at Fifth Avenue and 37th Street, his casket topped by a single laurel wreath. A year before, he had said, "It will be the greatest disappointment of my life if I don't go out with Halley's Comet. The Almighty has said, no doubt, 'Now here go those two unaccountable frauds; they came in together, they must go out together.' Oh! I am looking forward to that." This time, at least, he wasn't disappointed. The great comet was blazing in the sky the night before his death, as it had done the day he rushed into the world -- two months premature -- nearly 75 years before. They called him "The Belle of New York"
This sesquicentennial tribute to Mark Twain originally appeared as a special feature in New York Newsday for Friday, November 29, 1985.